StarLitStudio: bebe on the way! 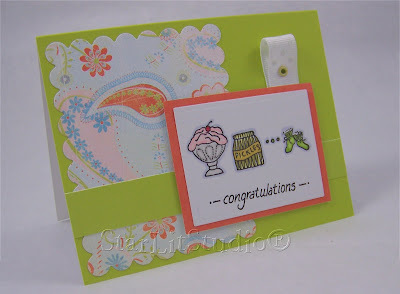 Neat tip & fun card! I should own stock in Karen' stamps! OMGosh Cindy I love the bright, fresh color combo on yours! SO cute! Oh, Cindy -- we sure were thinking on the same lines today! Love these bright, cheery colors! I PROMISE I am not expecting - - but I would just to get this card! TFS the clever TH tip! Such a cute card... love that Crate pp! Congratulations to your friend! This is so fresh and pretty! I love that adorable image too!! This is gorgeous. How can i design such nice design for the plastic business cards to make them so beautiful like this? I really appreciate this.